PLEASE READ CAREFULLY: This product MUST be purchased through the external vendor. Do NOT add this product to your cart and do NOT submit payment. This updated third edition is a detailed reference for nurses and other health care providers who care for children with neurosurgical conditions. The explanations of pathophysiology, anatomy, neurodiagnostic imaging, and treatment options for each neurosurgical diagnosis will help to clarify the rationale behind the nursing care. helpful. 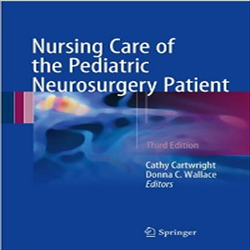 Parents of children with neurosurgical disorders will also find it a useful resource in understanding their child’s condition. NOTE: Do NOT add this product to your cart and do NOT submit payment. To purchase this product, please visit: http://www.springer.com/us/book/9783319493183.